It’s our last night here at Beach Acres Resort and we just put the kids down. My middle child, Titus, just whispered in my ear, “Daddy, I don’t want to go, please can we stay? We stayed in a cozy beachfront cottage in Parksville perfectly situated on Rathtrevor Beach, one of the top 10 beaches in all of Canada. 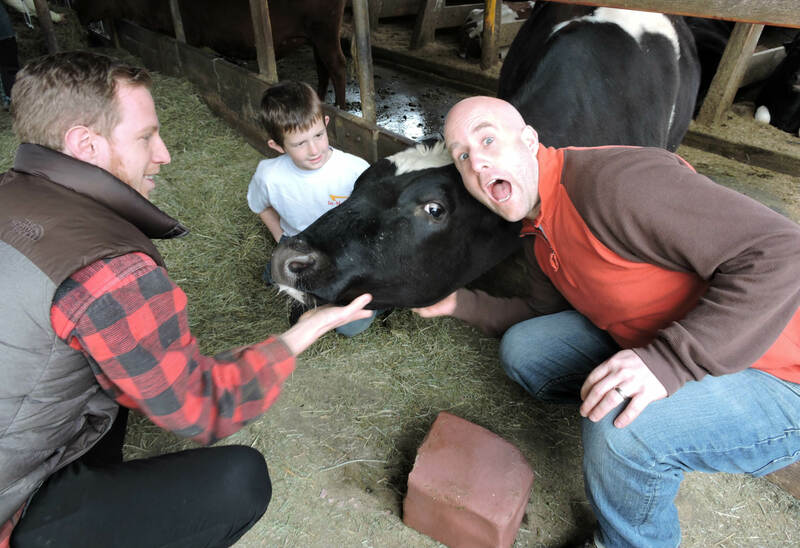 What a Vancouver Island vacation! It’s not every day I can get up off the couch, take a 30 second walk and be on a top 10 beach. This morning I was barely awake when I threw on my shorts and walked on the beach moments later. I wish I could wake up every morning like that. “Daddy, I don’t want to go, please can we stay? I haven’t done all the things I want to do yet”. Although I couldn’t imagine what we haven’t gotten to yet. Seems to me we have almost done it all! We have built a sandcastle, played in the ocean, paddle surfed, kayaked, had a beach side campfire, ate a special dinner at the on-site Black Goose Inn, swam in the pool, went caving at Horne Lake, played miniature golf and soaked each other on bumper boats! But we all know little 6 year old boys always have something left to do, don’t they? Truthfully, I don’t want to go either. Beach Acres Resort has a very special feeling to it. It’s hard to explain. 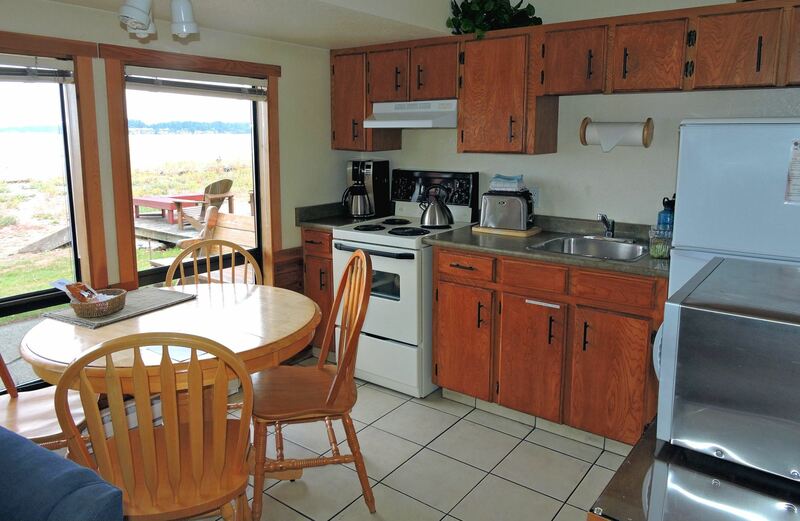 It could be that this place is perfectly designed for families looking for a laid back Vancouver Island vacation. And that’s exactly what we needed. This is the number one reason I love Beach Acres Resort. The view is incredible from the patio of our cozy beachfront cottage. The majestic mountains off in the distance are breathtaking. The ocean vistas as far as the eye can see are beautiful, but that’s not my favourite. My favourite is the ever changing picturesque beach landscape in front of me. I love how the view is never the same. At one point in the day you can look out and see the ocean water just steps away to the shoreline and next thing you know the ocean has receded a full kilometre leaving a beautiful sandy beach to walk out on. 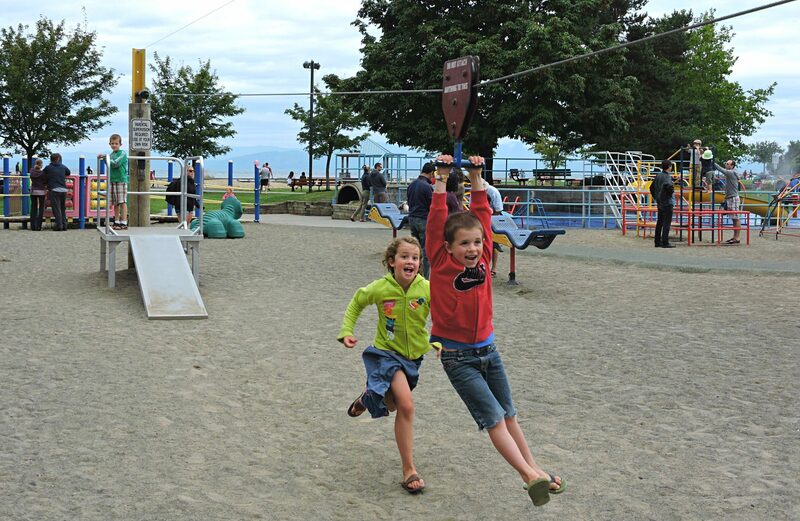 Beach Acres resort is directly in front of Rathtrevor Beach and it’s perfect for kids and families. The shallow, warm water, the sandy bottom, the tide pools and endless beach are all reasons why we love the location of Beach Acres Resort. 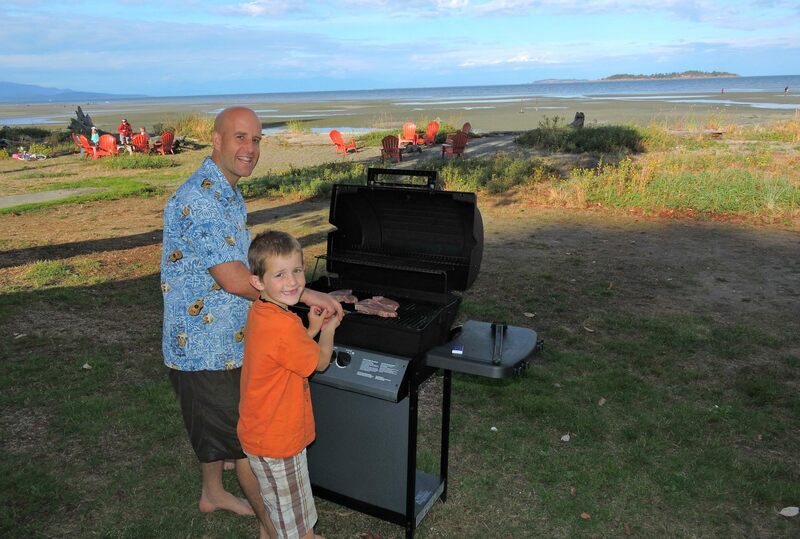 Check out our article on why Rathtrevor beach made the top 10 best beaches in all of Canada. 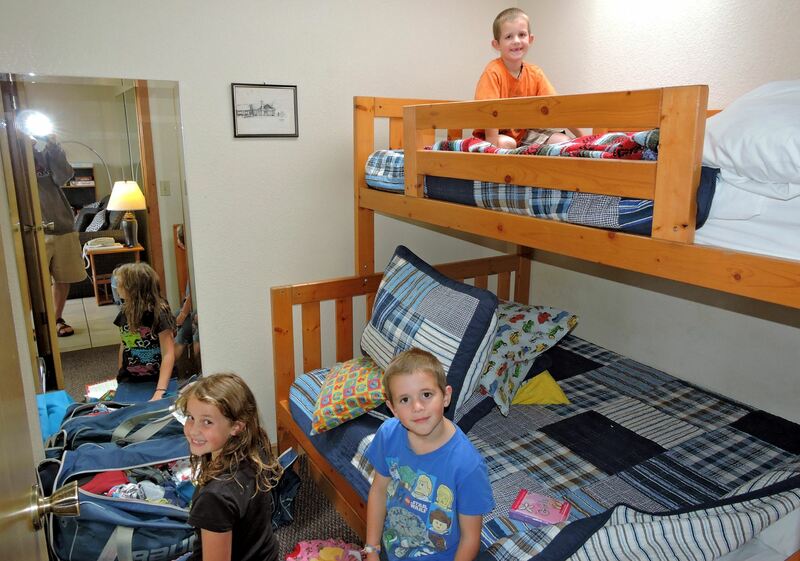 Beach Acres Resort has something for everyone. There are six different types of accommodation options to choose from, and I have come to learn that one is no better than the next. It just depends on what you are wanting. Some are more private, others are bigger, some are duplexes, others are not, some are closer to the beach, while still others are in the forest and closer to the pool and playground. One thing that is the same all the way through… they are perfectly designed for families. We chose the beachfront cottage and are so glad we did. Want to go to the beach? Walk out your door and you are there in 30 seconds. Campfire beachside tonight? Not a problem… you are only feet away from the fire pits. Not ready to go the beach yet, but your kids are? Got you covered! Send them on their way, you can literally see and hear the kids on the beach from the patio. Tip #1: If you want a more private beachfront cottage avoid #4 & #5 during high summer season. The path to the beach is in-between these two cottages. Ask for a cottage with a divider on the patio. Tip #2: Beachfront cottages are 50% smaller than most of the other accommodations. Do you want to be as close as possible to the beach with the best view? Or do you want more space in your accommodation? 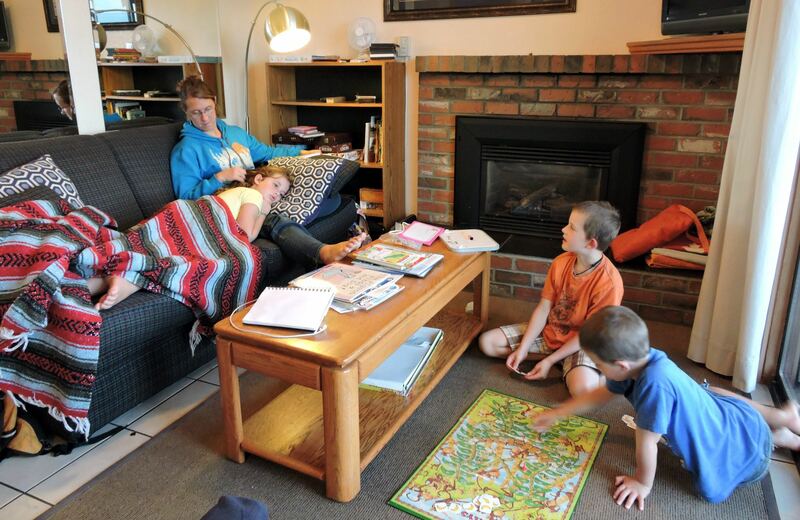 If you have little kids, the beachfront cottage is ideal during the warm weather seasons. 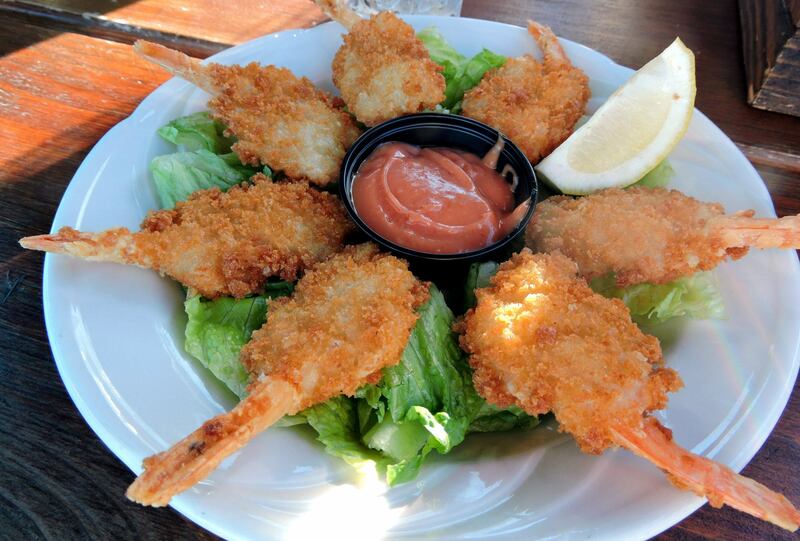 Beach Acres Resort has a fantastic restaurant conveniently located in the centre of the resort. 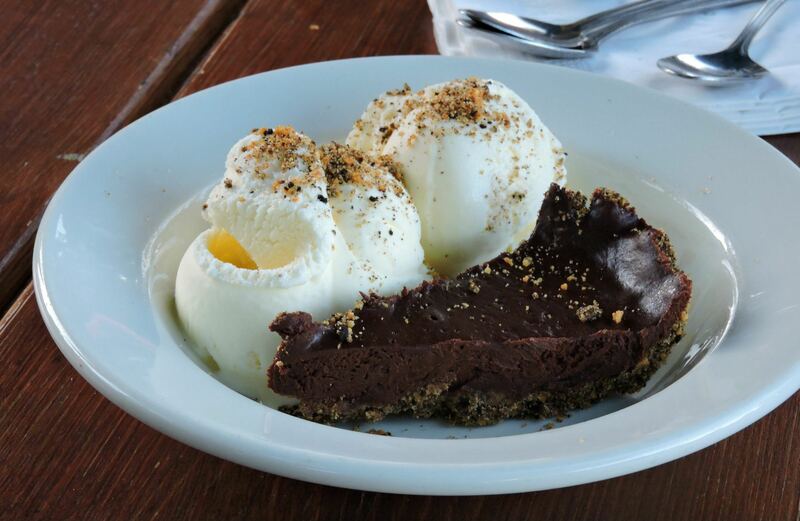 It’s called the Black Goose Inn. 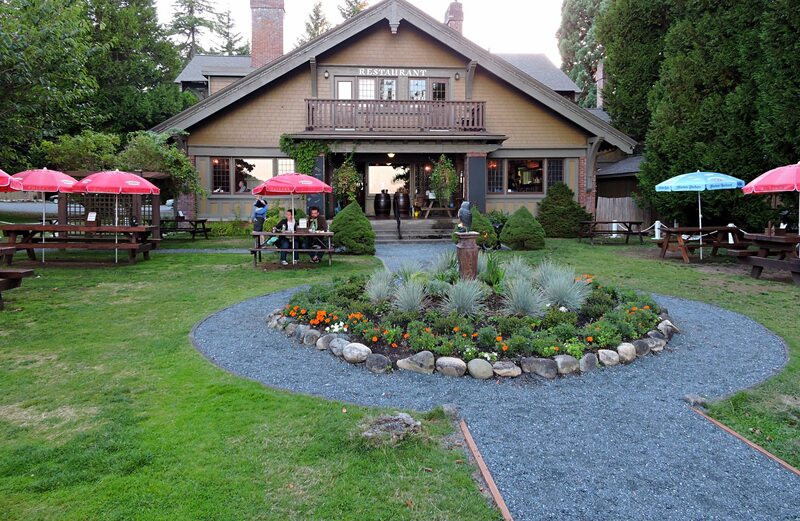 The restaurant building is a historic Samuel Maclure designed house originally constructed in 1921. It has since been transformed into an elegant and warm British/Scottish Pub specializing in home cooked English style food. 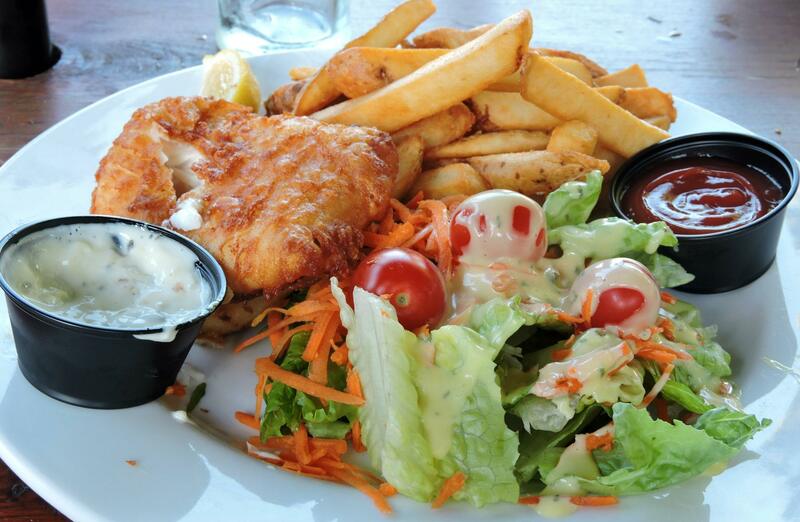 The Black Goose Inn has been voted as the #1 Halibut & chips on the Island! So you know what I went for, and it was superb. While you can have quite the elegant dinner inside the Black Goose Inn, we decided to stick with our casual beach theme and opted to sit outside on the large picnic tables. We even got to bring our Golden Retriever to dinner! Beach Acres definitely has a classic, laid back, West Coast feel to it. All the cottages are privately owned and decorated by the owners which gives the resort more of a family beach cottage atmosphere then a corporate hotel. Beach Acres targets families looking for a classic Vancouver Island vacation, which fit us perfectly. The staff were friendly and warm. If you need help with something or if something isn’t quite right, just call up to the resort office. We could tell they were trained to do everything they can to make every guest’s stay as comfortable as possible, you just need to ask. My kids loved the beach. We spent one of our whole days just playing at the beach. But tied for first was definitely the Beach Acres Resort pool. This is a BIG plus for this resort. Since Rathtrevor Beach is so shallow, the kids also enjoyed being able to swim and jump into deeper water which the pool provided. Not to mention how daddy can throw them really far and how the hot tub and sauna are oh so nice. The resort also has camp-style tennis courts, shuffle board, horseshoes and a playground. You can sign out all equipment from the resort office. 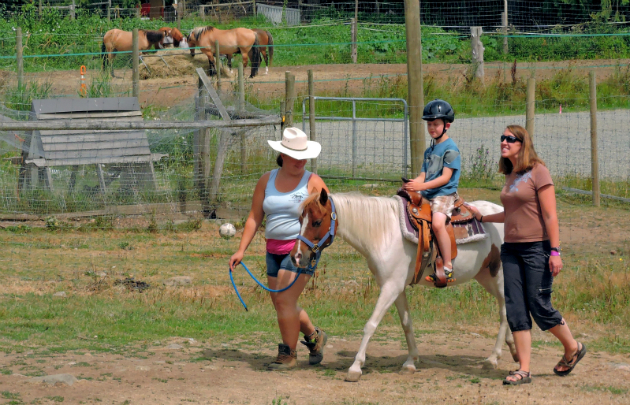 There’s A LOT to do in and around the Parksville area. Just spend some time on Traveling Islanders and you’ll see how Beach Acres Resort is located by some real Vancouver Island gems for Vacationing families. 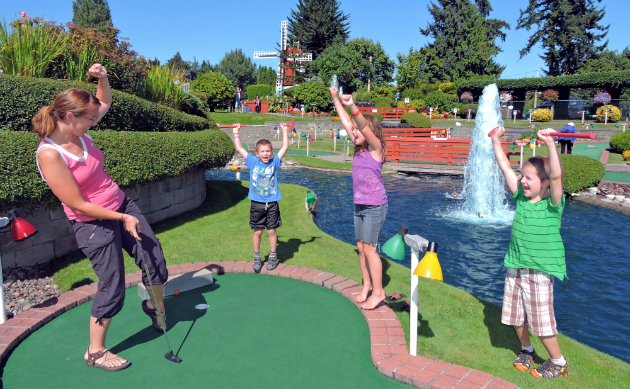 We enjoyed Caving at Horne Lake, miniature golf and the bumper boats at Paradise Fun Park in Parksville on this trip. 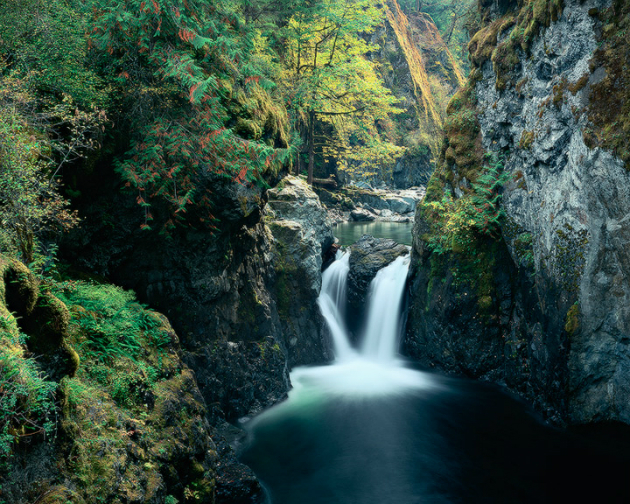 You might want to check out Tiger Lily petting farm and horse back rides or go for a hike at Englishman River Falls. Or indulge in some fresh island cheese and tasty fruit wines at Little Qualicum Cheeseworks. 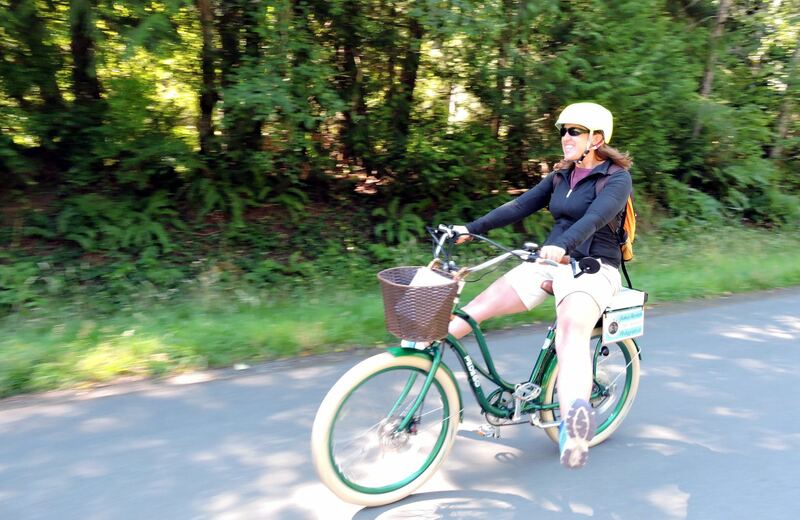 Or go cruising on an electric bike ride tour around the whole area. As you can see the list of things to do in the Parksville area is a long one! Accommodation prices range from $125 a night to $459 a night depending on the season. Beachfront cottages during peak season are pretty pricey and in high demand during Parksville summers. Keep in mind the resort is also on Rathtrevor Beach, one of the top 10 beaches in Canada. 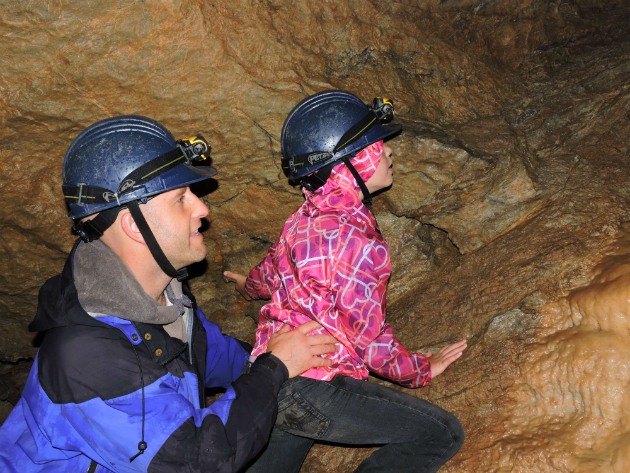 Previous postHorne Lake Caves • Underground Family Adventure Next postA Family Who Plays Together Stays Together!